Yeasts are often associated with macro- and microorganisms, but these interactions can vary from mutually beneficial to antagonistic. In this chapter, we review mutually beneficial interactions involving yeasts. First, we describe some ways in which yeasts may benefit from the metabolism or actions of other species. Next, we describe the characteristics of yeasts that could benefit other organisms, including rapid growth, high nutrient content, detoxification, and the production of metabolic by-products. 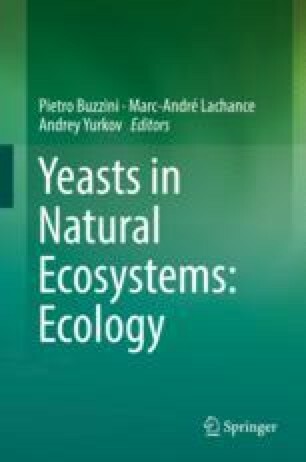 We highlight in detail a few of the types of interactions that most resemble mutualisms between yeasts and other organisms for: (1) yeast interactions with animals (vertebrate and invertebrate), (2) yeast interactions with plants, (3) yeast interactions with other microorganisms, and (4) multispecies interactions, including pollination. We necessarily focus on recently published work. We indicate where good evidence exists for mutualism and where more results will be required to demonstrate mutual benefit. Finally, we conclude the chapter with directions for future work, including how current technological approaches may be combined with manipulative experiments to allow rigorous tests of the mutualistic nature of yeast associations. We apologize to the authors of relevant work that we were unable to cite in the limited space here. We are grateful to those who provided helpful feedback, particularly Ash Zemenick and the rest of the Vannette lab. RLV would like to acknowledge support from the UC Davis Department of Entomology and Nematology and Hatch project 1010540.